From the UCSB Center for Black Studies Research. The Crisis of California’s African American Communities project is designed to critically examine the multiple challenges faced by Black individuals, families, and communities as a result of the global economic downturn of 2008 and the subsequent state fiscal crisis. Prior to these extraordinary events, African Americans already led the state with the highest rates of high school dropouts, homelessness, incarceration, and mortality. Since the economic crisis, they have also experienced extreme rates of layoffs, unemployment and housing foreclosure, the elimination of life sustaining social and educational programs, and the closure of major organizations, institutions, organizations and cultural programs. To investigate the central role African Americans have played in transforming their communities, the state, and the nation during the last three decades. To document the origins of the multiple crises currently facing African American communities. To examine the impact of the current economic crisis and the emergence of new conditions, policies, communities, organizations, institutions, social movements, and cultural practices and movements. Of particular interest are differential regional realities and responses. To identify solutions to the crisis emerging throughout the state. We invite community members, scholars, researchers and students to submit research papers (a maximum 6000 words), shorter essays, policy analysis, poetry, artwork, photographs, photo-essays, lyrics, biographies, autobiographies, organizational profiles, profiles of solution-oriented projects, interviews, dialogues, agendas, and multi-media projects. Additionally, we are particularly interested in documenting the perspectives of youth, women, families, the African American “pioneers” who arrived in California during the 1940s and 1950s. The work will be published by the Center for Black Studies Research. Abstracts for papers and other works (a maximum of 500 words) should be submitted to Professor Clyde Woods, cwoods@cbs.ucsb.edu before November 15, 2010. Final works will be due on April, 1, 2011. For further information contact the Center for Black Studies Research, University of California, Santa Barbara, 4603 South Hall, University of California Santa Barbara, CA 93106-3140. Phone: (805) 893-3914. Fax: (805) 893-7243. Email: ctr4blst@cbs.ucsb.edu, Website: http://research.ucsb.edu/cbs/. Limited to the first 25 who register. Children with parents welcome. go to farmworker families hosting the tour. Moorpark and Leigh Avenues. We will carpool to Watsonville. Jeans, T-shirts, etc. (nothing flashy or ostentatious). of $15. Photos are OK only at the labor camp. From David Simon, formerly of the Baltimore Sun, to Joe Rodriguez of the Mercury News, reporters, media executives, and observers suggest that we either need to bail out the newspapers, change corporate practices, or invent some a form of media or expand an existing one to distribute the news in a responsible and orderly way. This post comes to us from Louis Freedberg, the founder and director of the California Media Collaborative, an inter-sectoral project to try and rethink the deployment of news media. They have a new project for investigative journalism on issues facing our state. Take a look at Freedberg’s announcement below.–ed. I wanted to pass on some good news. We have now joined forces with the Center for Investigative Reporting, the nation’s oldest investigative journalism organization, which is also making California a major focus of its work. CIR is led by Robert Rosenthal, the former managing editor of the San Francisco Chronicle and executive editor of the Philadelphia Inquirer. Together we will be launching a new California-focused reporting venture at CIR, with major support from The William and Flora Hewlett Foundation and The James Irvine Foundation. We’ll be hiring a small group of reporters to do in-depth, watchdog and investigative journalism, focusing on issues such as education, immigration, criminal justice and the impact of the recession on Californians. Much of it will be data driven in order to show how state level issues affect people in their own communities, and we’ll be using Web-based technology in new and creative ways. Many of these ideas were first discussed at the landmark Travers Program conference at UC Berkeley to which many of you made such valuable contributions about 18 months ago. This project is at its core a collaborative one – which will mean collaborating not only with other media outlets, but with non-profit organizations, academic and public policy institutions, foundations, civic leaders and others who care about how Californians will be informed and engaged on critical issues facing the state and the nation. I also encourage you to take a look at the Collaborative’s blog site, http://californiamedia.org as well as CIR’s website, http://cironline.org. We are developing an entirely new Web site for our new California initiative. In the meantime, the blog site is intended to be an online convenor of discussion and comment on the state of the news media in California — and to highlight new media innovations. Please participate! Our colleague, Ethan Rarick, the director of the Center for Politics and Public Service at the Institute of Governmental Studies at UC Berkeley, sends us information on IGS’s publication of this new book on Prop 13. Ever timely, revisiting Prop 13 is especially critical now with rumbles of a constitutional convention and new tax policies reverberating through the state. The book contains articles from several friends of the California Studies Association. In addition to the book, take a look at IGS’s recent conference on Prop 13: the conference is available on several video sites linked from this site where you can also view slide presentations. IGS has other publications here. In 1978 California voters shocked the political world by approving Proposition 13, a strict limit on local property tax rates. No state had ever approved such a far-reaching constitutional limitation of the power to tax. And Californians did not just approve it; they embraced it, rejecting dire warnings of doomsday from the state’s political, business, and academic leaders. Voter turnout was the highest recorded for any off-year election in the history of California and the tax cut won in a landslide, with 65 percent of the vote. Thirty years later, Proposition 13 remains firmly entrenched in California’s constitution, but what has it meant for politics and public policy in the state? On June 6, 2008, the thirtieth anniversary of the adoption of Proposition 13, a group of scholars, journalists and policy experts gathered to assess the legacy of this groundbreaking measure. Their mandate was a simple one: assess what we have learned about the political, economic, and fiscal consequences of Proposition 13 over the last 30 years. After the Tax Revolt: California’s Proposition 13 Turns 30 is a result of that conference, and an attempt to summarize the state of our knowledge about the consequences of this critical event in the history of California and the United States. 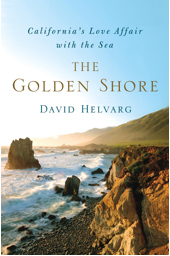 This collection of essays constitutes a cutting-edge and timely review of one of the most important reforms in California history, and will be crucial for anyone trying to gain a full understanding of politics and policy in the Golden State. Jack Citrin is Heller Professor of Political Science and the director of the Institute of Governmental Studies at the University of California, Berkeley. Isaac Martin is an assistant professor of sociology at the University of California, San Diego. Just in time for the special election circus and governor’s race side show, two longtime political journalists and commentators have teamed up to form Calbuzz, a new blog about the Golden State’s pu . . . pu . . . pu . . . political scene. Trounstein was recently on the CSA’s radar for our most recent conference on the Silicon Valley because he co-authored, with San Jose State professor Terry Christensen, one of the seminal books on politics in San Jose, Movers and Shakers: The Study of Community Power (1983). Eric Soderquist is a professional surfer and artist who has participated as both in numerous contests, films and community events while traveling the world from Peru to Australia. Chris Burkard is a surf photographer who has worked for Surfer, Surfing, Transworld Surf, Surfline.com, Patagonia and Burton Snowboards; he is the winner of the Follow The Light Foundation grant (in memory of Larry Moore). Together they cajoled their Volkswagen bus along Highway 1 from the Oregon border to the Tijuana Sloughs. Their fully illustrated book is a love letter to the astounding California Coast and a testament to the passion for catching a perfect wave. This event includes a visual presentation.